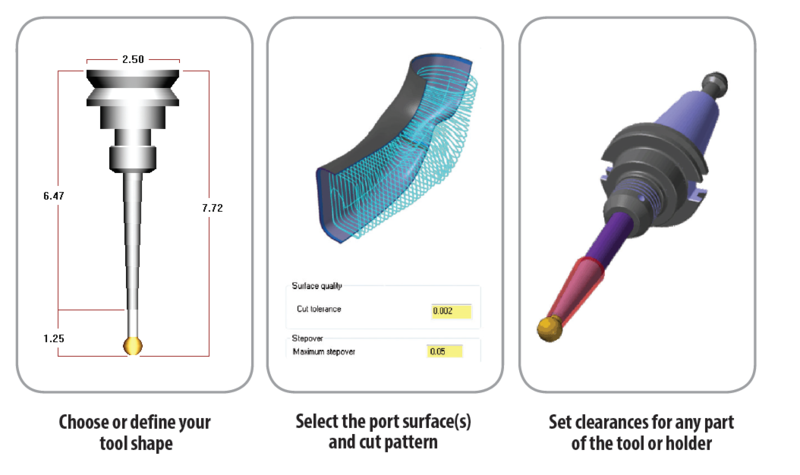 Mastercam Port Expert creates accurate, porting toolpaths on port surface or solid data. It minimizes unnecessary motion at the machine, which results in a highly efficient toolpath with superior finish quality. It can also be used for any tube-type work that is similar in design to a port. 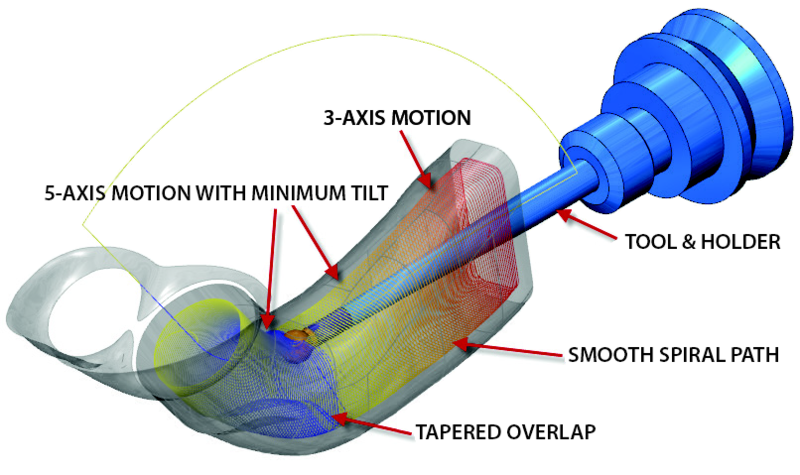 Port Expert uses a tapered lollipop tool, and has collision checks for the entire tool (shank, arbor, and holder). "Port Expert not only cuts my programming time way down, but it also reduces the machining motion and the wear and tear on my tools. I was able to put a toolpath on my first port in about 10 minutes. I’m quite impressed to say the least." There are multiple cutting options available with Mastercam Port Expert. You can cut only the top; cut only the bottom; or the entire port, including specifying how much stock to leave. Geometry can be made of multiple surfaces that are stitched together. Generates 5-axis code that can run any capable CNC machine. Mastercam Port Expert is a Mastercam Add-On that must be purchased separately. It runs on Mastercam Mill 3D, Mastercam for SOLIDWORKS 3D, or Router 3D. For more information, click here.